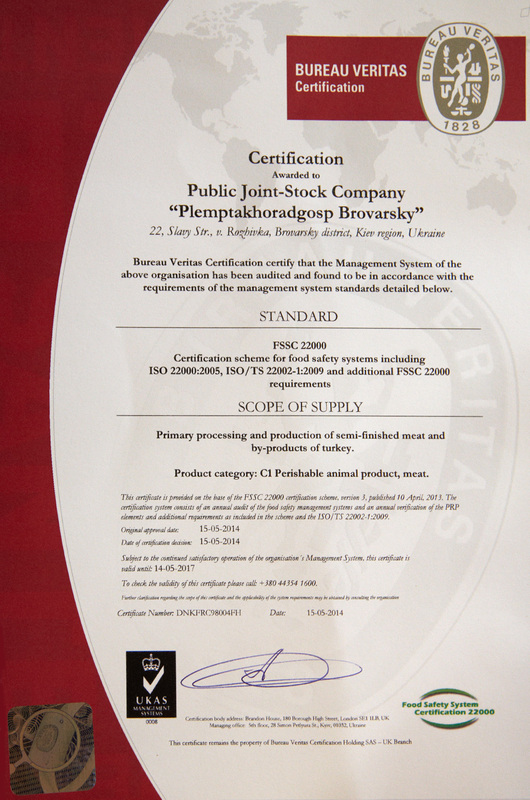 Production of turkey meat under «Indelika» TM carried out by «Plemptahoradhosp Brovarsky», which is located in Brovary district Kyiv region. It is a modern, fully integrated enterprise that was created in 1975. Enterprise iterates the whole production cycle which includes turkey breeding, processing and ready-to-use product packaging. ТМ «Іndelika» closed-cycletype production prevents birds’ outdoor environment contact which is essential part of product safety guarantee. Connoisseurs say that turkey meat has excellent taste — tenderness, juiciness, nutritious. It contains plenty of vitamins and minerals. Turkey meat refers to dietetic foods that are good for people of all ages. Turkey is a godsend for those who takes care of their health and weight. Turkey meat is least caloric (e.g. 100 grams of ccoked turkey is around 60 calories) and virtually no fat. It stimulates the heart and vascular function, strengthens the immune system and does not cause allergic reactions! Strict quality control and implementation of environmental, technological and sanitary requirements is carried out at every stage of TM «Indelika» production. The company conducts laboratory examination of products in accredited state laboratories twice a month, in which examination results prove the products compliance with all sanitary standards and requirements. What is more, high products quality confirmed by independent examinations results. 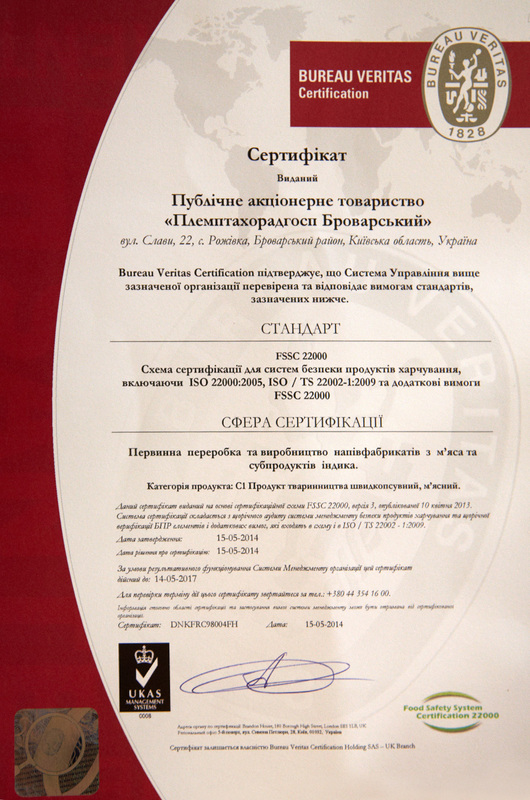 According to the results of the audits, the international certification authority — Bureau Veritas has recognized the level of production of «primary processing and production of semi-finished products made of turkey meat and its by- products» as the one that satisfies the requirements of the Products Safety Management System and granted «PPR Brovarsky», PJSC, an international certificate for production according to FSSC — 22000 standard scheme on May 15, 2014.